Get your magazine delivered straight to your home and digital device! 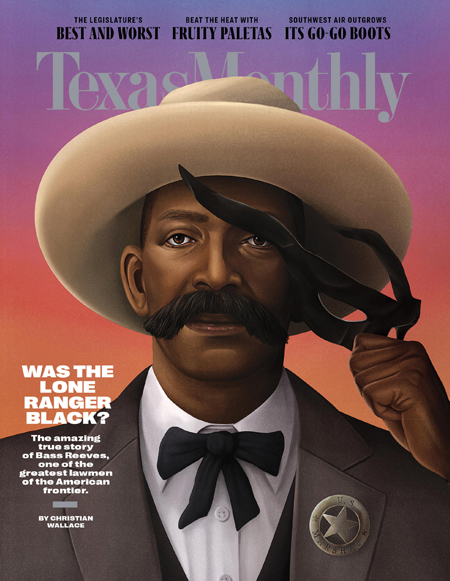 Since 1973, Texas Monthly has been the indispensable authority on being Texan. The magazine has won fourteen National Magazine Awards and is home to many of the country’s most celebrated writers, editors, and photographers. Already a subscriber? Renew Here! Do you want to give a gift? Give here! Offers will display once a region has been selected. Print subscriptions available in the U.S. only. International Subscribers: Get delivery of your magazine with no additional postage by ordering the digital only version of Texas Monthly! Digital subscribers are entitled to immediate digital access. Your subscription includes the Editor's Desk, an email from the Editor with highlights from each issue. I understand that I will receive uninterrupted service and delivery of my magazine and that my subscription will be automatically renewed each year at the rate then in effect. I won't be bothered with any renewal notices in the mail; instead, I will receive a clearly marked annual reminder about 60 days before my credit card is charged or a bill is sent. I may cancel at any time during my subscription and receive a refund on any unmailed issues by calling 1-800-759-2000 (US) or visiting Subscriber Services. If for any reason at any time you wish to cancel your subscription, we will send a refund for all unmailed issues. If the Postal Service alerts us that your magazine is undeliverable, we have no further obligation unless we receive a corrected address within one year. Please allow 4-6 weeks for your issue to arrive in the mail. iOS version compatible with iPhone 5 and up. iPad and iPhone are trademarks of Apple Inc., registered in the U.S. and other countries. Android is a trademark of Google Inc.